The graphs for the languages' level is very interesting. 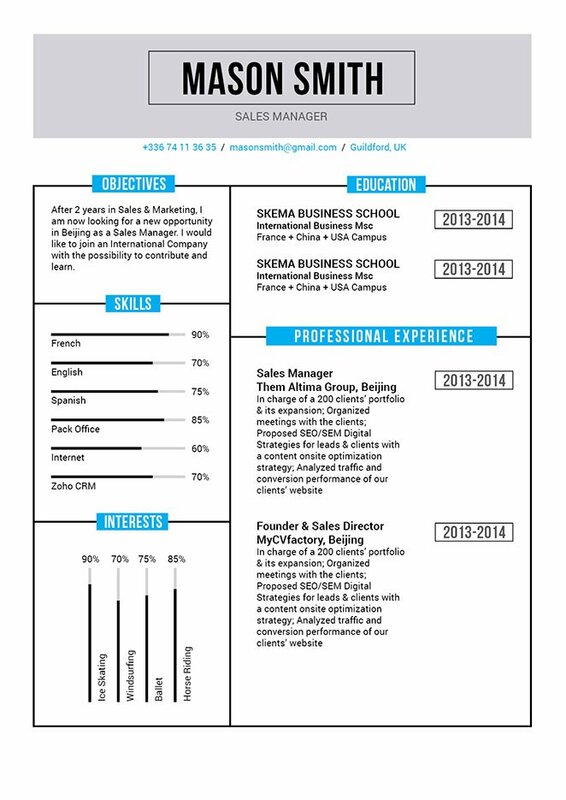 CV template to download "Capable"
The Capable Resume does an excellent job in presenting all your information! This student resume template features a selection of colors, graphics, and texts that create an eye-catching and functional resume design that is perfectly applicable to any job type out there and is ideal for applicants with a solid professional and educational background as all the information relevant to the job is clearly presented and is sure to land you that job! 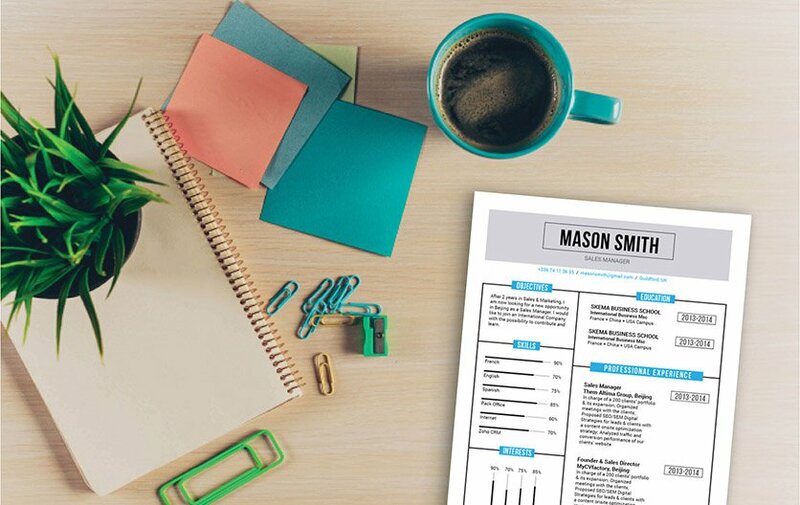 How can you create a resume that is eye-grabbing?—All you need is a clear and straightforward resume format! To create such resume, choose a professional font like Seriff or Sans Seriff, limit your font sizes between 11 and 12, and use italic/bold font styles to guide the reader's eyes along your resume. Use graphics and bullets to give emphasis on the key parts of your CV that need emphasis. Lastly, you can give your resume a logical format by using wide-margins, spacing, headings and subheadings—this makes your resume a lot easier to read!